Wow — what an amazing event by the ETHDenver team! 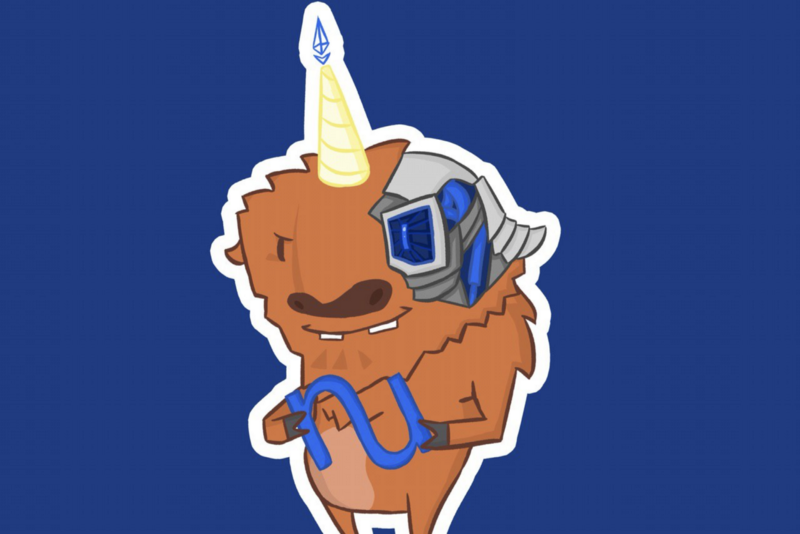 NuCypher was proud to attend for the second year and we’re already looking forward to 2020 (which, according to the Etherian calendar is the year of the Bufficorn!). Things kicked off on Friday with a day of technical workshops, where Justin Myles Holmes demoed the NuCypher testnet and Character Control — a fresh off the presses HTTP interface for NuCypher written the morning of his talk. We were especially excited by the number of people new to the space bringing fresh perspectives, problem statements, and use cases. ETHDenver did a phenomenal job of creating an inclusive and welcoming environment to newcomers and grizzled #buidlers alike, which is one of the most high-impact things we can do to drive our space forward. On Sunday morning, submissions started rolling in and judging began. NuCypher had three strong bounty submissions to review: CypherPress, NuVault, and Trusted Health. CypherPress is a framework that lets you easily build decentralized databases. It provides a simple way to spin up and configure a white-labelled permissions UI. Since NuCypher is a developer tool, it requires some technical wrangling to understand/use and CypherPress is a promising attempt at making NuCypher easier and more accessible (think WordPress). NuVault is a VueJS frontend that allows users to encrypt secrets they can share with other agents, without decrypting or exposing either parties’ private secret keys. Encrypted data views are stored in IPFS for later decrypted consumption. The NuVault team even submitted an upstream pull request to the nucypher repository based on their work during the hackathon. Trustless.Health is a decentralized and transparent platform for machine analysis of medical data. They leveraged the NuFHE library to analyze encrypted DNA sequences without compromising user privacy. Their technical achievement was massively impressive — the team built fhe-wasm, a WebAssembly interpreter with support for fully homomorphic encryption. In the rust-example directory, they show how a DNA analysis model written in Rust is compiled to WASM and then executed on encrypted input data using fhe-wasm! They also built a front-end, hosted at https://trustless.health, which is a React/Redux DApp written in typescript with ts-lint for strong type-safety. The web app uses axios to query a local Python server, which uses the nuFHE package to generate encryption keys as well as encrypting/decrypting of messages. It’s web3 compatible and should work out of the box with Metamask. Thanks to the ETHDenver organizers and volunteers, the hundreds of hackers, community members, and friends who made our time in Denver so enjoyable. We hope to see some of you at the retreat in Breckenridge over the next couple days and we’re already looking forward to next year!